Little Flower High School stands in the background; the trees of Hunting Park can be seen to the right. 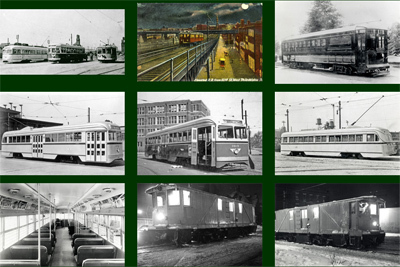 One of just three Brilliners in Philadelphia, sister cars 2021 and 2022 were scrapped just four years later in 1951. While looking superficially like a pre-war PCC car, the Brilliner's floor plan tapered only slightly at the ends. 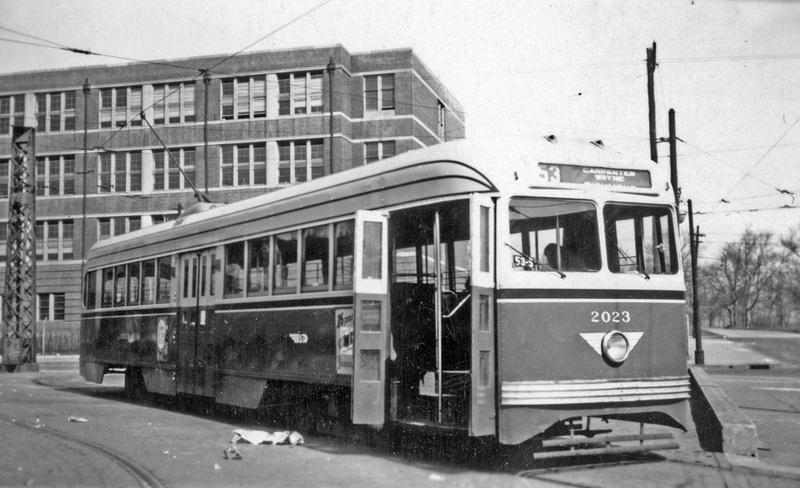 Thus, the first time Brilliner 2021 rounded the curve at Arrott Street terminal on Route 75, the corner of the trolley hit the building. 2023 was scrapped in August 1956.